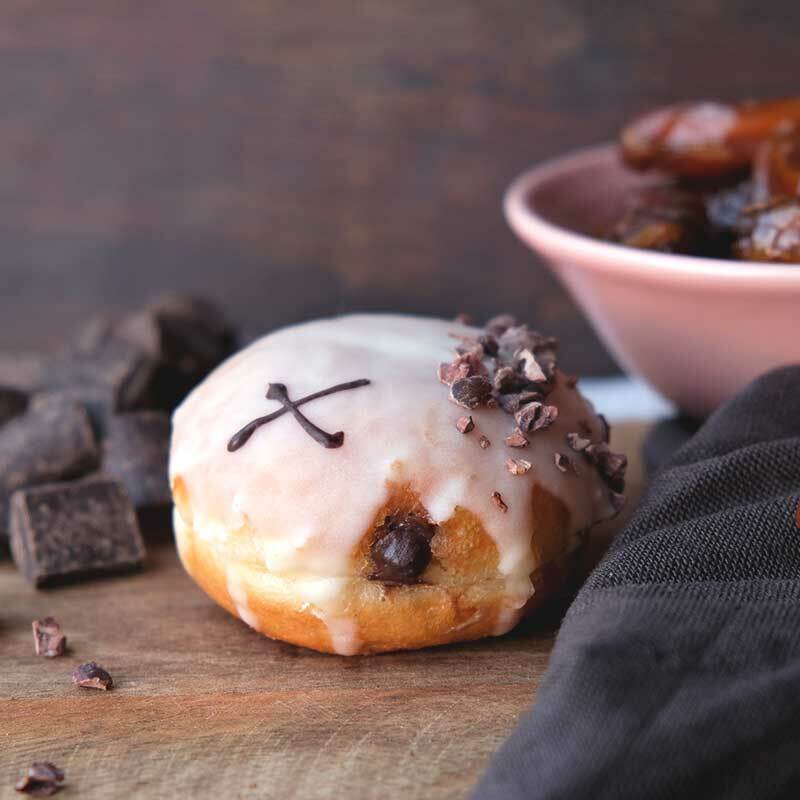 A mini sized doughnut (dough bite) filled with a smooth medjool date & chocolate custard, topped with white chocolate glaze and crunchy cacao nibs. This flavour is available at all locations and as part of our dough bites box. View our allergen information here.